As the Trudeau government trumpets its track record on supporting women’s rights abroad, newborn children continue to be separated from their parents right here in Canada. And how did Jagmeet Singh’s most recent round of media appearances go? 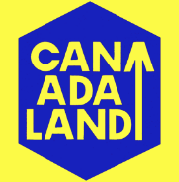 Correction: WE Day Ottawa 2018 took place on November 14th, 5 days before Canadaland published its second investigation into WE, not afterwards, as Jesse states on this podcast. We regret the error. This episode of Short Cuts is brought to you by Audible and Squarespace.